The London collection offers classic beauty with clean lines. 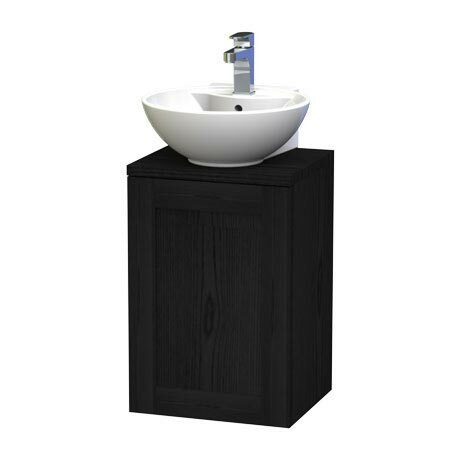 This black stained oak 40 Wall Hung Single Door Vanity Unit with Worktop and Ceramic Basin features a left or right hung soft closing door with an an internal adjustable wooden shelf. This unit also comprises of a single tap hole countertop round ceramic basin and a stylish chrome handle. Fitted with mounting rails and brackets for adjustable and quick installation.